Circus Post will be screened on a loop and available to watch everyday of the festival at any time for free, just drop in! Circus Post is a series of short films contextualising the development of contemporary circus over the past 40 years, as it has moved away from traditional big tops, and into theatres, and back again, in Europe, the UK and beyond. Listen to untold stories and watch unseen performances, which challenge the conventional view of circus as animal and clown shows. Understand the new direction of circus, the skills it requires and the direction of its growth. 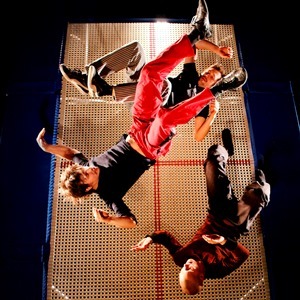 On the border between theatre and dance, between tradition and invention, we find something new – contemporary circus.